A very disappointing turn of events is taking place at KPN. KPN has been a champion of the European incumbents for a long time, with an open view to the realities of the over-the-top market and open access networks. Meanwhile, Scheepbouwer is dismissive of suggestions from rivals, such as Telefonica's CEO Cesar Alierta and Vodafone Group PLC's CEO Vittoria Collao that the biggest generators of network traffic, such as Google Inc., should pay for the benefit of reaping a huge amount of revenue from infrastructure in which they have invested. "The Internet is open and free for all to use and the solution isn't to start charging Google money. Then we should have invented Google ourselves." (Total Telecom, April 5, 2011). We thought that the A.T. Kearney report (for DT, FT, Telefonica, TI) claiming the opposite of what Scheepbouwer was saying, had been thoroughly buried by now, by Communication Chambers, Plum Consulting, and over here as well. In October, at a Fiber Summit in Amsterdam, Alcatel-Lucent's Ben Verwaayen left no doubt about where his company stands in this discussion: it is firmly behind DT, FT, Telefonica and TI. And we all know where Alcatel-Lucent, and its CEO, are going. The turn of events at KPN is not only disappointing , but also points to conflicting views within the KPN management. The current director of Wholesale & Operations dismissed the concept of Google et al contributing only a week ago. When an Alcatel-Lucent worker (!) asked him how he planned to start charging Google et al, he replied: 'we want to join in, ring fencing is pointless', which seemed to suggest that he is firmly on Scheepbouwer's side. LTE. The company owns 40 MHz of nationwide spectrum (and some). There are TD-LTE plans (probably for a fixed-wireless solution), but a cooperation seems more logical - such as making an offer for T-Mobile USA. OTT. Since it has nationwide content rights, why not piggy-back on somebody else's infrastructure? 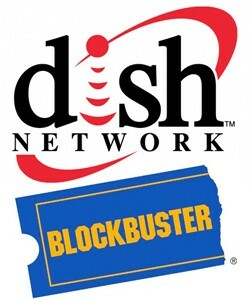 It is a loyal Google TV partner, has the Blockbuster business (including Movie Pass) and could even go further. Vodafone Germany: migrating DSL subs to LTE. Verizon will not expand FiOS beyond the currently planned 18 million homes, instead relying on LTE and the new spectrum it is buying from cable companies (and perhaps also to safeguard peace with those very same cable companies). Chinese investors are invading Belgium on the back of a 4G license for TD-LTE spectrum. NSN has introduced outdoor CPE for TD-LTE based service. O3b is building a global satellite network for 'the other 3 billion'. SES (Astra2Connect) and WildBlue Communications are raising speeds (to 10 and 12 Mb/s) and lowering prices (to 28 EUR/mo and 50 USD/mo) for BB-over-satellite. On the positive side: These solutions are for underserved areas (whether third world or rural) and will provide rather basic needs only. On the negative side: These investments will reduce the direct need for fiber to rural areas, which may lead to an ongoing digital divide between rural areas (speeds up to 10 or so Mb/s, but in reality probably a lot lower and possibly capped) and denser areas (to be served by true FTTP, which is gradually moving to 1 Gb/s). The offices of the three Dutch MNOs, KPN, Vodafone NL and T-Mobile NL, were raided by the antitrust authority NMa on suspicion of price arrangements (collusion) and carving out distribution (retail) channels. The three aren't denying, but guaranteeing full cooperation. KPN stated that five employees have been singled out for the investigation. The NMa stated that they have official statements from two whistleblowers. Price arrangements would be stupid because of the PR risk. The operators have only recently been convicted for similar charges dating back to 2001. Price arrangements also appear to be unnecessary in the light of the oligopolistic market, where Voda and T-Mo follow KPN - which is not illegal. There was a direct reason for all operators to move quickly and raise prices during 11Q2: a rather sudden change in consumer behavior from late 2010, embracing IM/chat/VoIP apps. This put pressure on voice/SMS income. Moreover, charging for these data comms apps was made impossible because of the new net neutrality laws. They, and the NMa, appear to be very serious. The operators are not denying. What may have been the case? The allegations are true. In this case, consequenses will be severe, both in terms of fines and in terms of regulation. NPS numbers will go down the drain. The allegations are not true. The whistleblowers are in fact disgruntled employees - or so. Naturally, they approach right-wing media and populist politicians, such as the neo-fascist PVV party supporting the current government. At this point it is impossible to say which is true. Perhaps the whistleblowers speak the truth. But if they cannot see the difference between 'following the market leader' and 'making illegal price arrangements', then the charges may very well be untrue. Lindsey Annison kindly allowed us the scoop on B4RN reaching its first target. Wonderful news, and Lancashire will likely be connected to gigabit fiber over the next few years. There are Press Passes available for the launch event on Dec 15th at 2pm at The Storey, Lancaster. An exciting community initiative, initially across eight parishes of rural Lancashire, to deliver a world class hyperfast fibre optic broadband network is being launched at The Storey in Lancaster on 15th December at 2pm. Broadband has become essential for every sector of the community and increasingly important for our daily lives. Government and the large telecom companies plan to upgrade broadband to ‘superfast’ but not in many rural areas, where limited internet and mobile coverage affects businesses, homes and farms. The difficulty is reaching economic viability when private companies’ costs are so high and subscriber numbers are low. Broadband for the Rural North (B4RN) plans to lower the costs, both in the building of the broadband network and to the end user, by using local contractors and the community. “Farmers and local people have the skillset we need for this project. They know the land and people, and have been offering to work for shares, which means the digging for the core network can start early in 2012. We expect this to be completed in approximately 3 months, weather permitting, and then we will begin to connect the first users,” stated Professor Forde. Shares will be available from 15th December - further information and application forms will be available on the B4RN.org.uk website on that date. B4RN’s plans are for a hyperfast broadband network fit for purpose far into this century. A 1 gigabit (1000Mbps) connection will ensure that any interaction with the Internet will be quick and easy. Television, films, cheap phone and video calls over the Internet, the ability to extend local mobile phone networks to cover black-spots, local security, telehealth and medicine applications - all will become possible. B4RN will be initially be providing the broadband connection and VoIP telephony, with further services to follow as the network rolls out over the coming years. Roeburndale, Wennington and Caton with Littledale will be at the event as well as local dignitaries and celebrities. B4RN is a community benefit company, owned by its shareholders. Income made will be re-invested in the service and spent within the communities the company serves. The shares are being made available under the EIS (Enterprise Investment Scheme) that offers 30% tax relief, with a minimum investment of £100 and maximum of £20,000. B4RN hopes to attract the support of local, national and international investors, whilst remaining a truly community-run business, bringing fast, future-proof, sustainable Internet access to the rural uplands, for this generation and those to come, leaving a lasting legacy for the area. 1. B4RN has been more than three years in the planning and development stage. The B4RN project will bring a state of the art, fibre optic broadband connection to the rural communities long before most of the urban areas. Rural Lancashire plans to be a world leader in “hyperfast”. 3. The full business plan is available on the website, along with details of the pricing and payment structure for local residents and businesses. http://tinyurl.com/895uvdx This includes bonuses of free install and connection for 12 months with a £1500 investment, three further free months for early bird investors, and payment in shares for involvement in the deployment of the project. 4. A target of 662 registrations of interest were required for a green light and this was passed in just three months. The project moves one step closer to implementation with the launch of the Share Issue. “The phased network will be built by the community over three years for the seven phases. Now we have passed our target of over 700 registrations of interest in investment and taking a service at £30/month for 1Gbps, we can proceed to raise the capital required for Phase 1,” said Barry Forde. 5. B4RN will initially provide internet and telephony with further services in the future. Each home will have a battery backup so telephony over the fibre means landline connections are no longer required. KPN made several dozen acquisitions over the past few years. I count 51 (and probably missed a few) since early 2005 in just about every category, mainly in the Netherlands, but abroad as well. Small companies and bigger ones, such as Telfort, Tiscali NL, Getronics, Reggefiber and iBasis. Fixed and mobile, consumer, business and wholesale. Some assets were sold on, but generally the acquisitions fortified KPN's market shares, or even propelled it into a new business. And takeovers compensate for negative growth in KPN's traditional business. Opportunities for challengers to buy assets at lower prices (KPN probably drove up valuations). No easy 'exit' for start-up entrepreneurs banking on a sale to the incumbent. Significantly lower market shares for KPN in most markets. Much stronger challengers and market shares much less skewed toward the incumbent. An earlier end to deregulation in several markets. The message to the incumbent would be: all takeovers are prohibited; if you want to add technology, expertise or a share in a new market, you simply should go build it yourself. Broadcom and Intel abandoned the TV market. Logitech abandons the Google TV ecosystem. Companion screen: complementary content, interactivity. One of the premises of connected TV was knocked out from under it. Connected TV wasn't justified by the notion bringing additional content to the TV and putting the viewer in the driver's seat (the rise of on demand), but also: any video content is best consumed on the biggest screen in the home, i.e. the living room TV. The tablet has proven that this is not the case. People are happy watching TV/video on a tablet screen. Real interactivity (beyond ordering movies or pausing live TV) is stil in its infancy. Yahoo! IntoNow is interesting, and AT&T made somes moves. But it remains an underexplored area. Netflix: can growth be restored? Decoupling the pricing for the Watch Instantly (streaming) and the DVD-by-mail service to 8 $/mo each. This effectively amounted to a price hike (from 10 to 16 $/mo) for the people taking both, roughly half of all subscribers. International expansion. First Canada, next latin America and Europe set for 2012. Ongoing distribution deals, such as Netgear (for the NeoTV 200 streamer). Content deals (such as Discovery and Lionsgate for the UK), but Starz was lost. The DVD-by-mail business will be split off into Qwikster, which adds games. No spin-off/IPO or sale yet. The market responded in a very negative way, claiming that customers will be frustrated because they like to subscribe to a bundle of physical and digital delivery. DVDs aren't going away that quickly after all. The share price is down around 60 percent from its July high at $305. Netflix rightfully breaks through the 'innovator's dilemma' "to attack his core assets by building new ones". They had already done that. "DVDs won’t die quickly". Not sure why this is put forward as a reason to split the business. "Charge the right prices for the right services". Again, doesn't look like a reason to split because Netflix had already put separate pricing mechanisms in place. "Transparency for investors". As long as there is no spin-off or sale of Qwikster, this doens't make much sense. "Positioning for the Future". Same. All in all, it looks like textbook arguments ('innovator's dilemma', 'focus') that analysts like to put forward, but as long as there is no sale of Qwikster, adjusting the pricing mechanisms appears to have been enough. "... first shot itself by announcing an onerous price increase without any real attempt to explain itself or soften the blow"
"Rather than separating streaming and DVD, Netflix should be doing the exact opposite - integrating them as tightly as possible." "My sense is that Netflix has too quickly fallen in love with streaming, and forgotten how critical DVDs still are to their current and future success." "Without DVDs Netflix is going to going up against far bigger competitors without much of an advantage. As to Qwikster's prospects, marketing a DVD only service in the digital media era? Good luck with that." Defending Netflix' split plan using analyst speak ('focus') makes little sense. The arguments for keeping the businesses together are stronger. Qwikster is not actually being sold off. Possibly not much will change after all. And there is still the possibility to have the customers experience little or no difference. The combined company can even decide to (re) introduce a discount for customers taking both services. The split-up can be limited to the back-end operations. The Q3 results will give limited insight into further subscriber erosion, because the price hike kicked in late in the quarter. Watch out for between the lines statements and further unexpected moves. As always: the proof of the pudding is in the eating, and it looks like it will take a while before we can see if growth will be restored. In the meantime, competition increases (Amazon, Blockbuster, Google, Apple, Redbox, Hulu, even Facebook), connected TV expands and content producers are finding new ways to the consumer. But you never know if Reed Hastings has a brilliant new move up his sleeve. RCN says it sees limited demand for higher speed tiers, such as 60 Mb/s. If you check pricing, you will see that 5 Mb/s comes at 30 $/mo, 15 Mb/s at 40 $/mo, 25 Mb/s at 50 $/mo and 60 Mb/s at 80 $/mo. Basically, the situation is the same at most ISPs. More speed, higher prices. They are addicted to this business model. Profitability of the higher tiers is ridiculous, because costs are hardly different from the lowest tier service. Customers don't know this and some (few) are willing to pay more for faster services. But is this the only possible model? If all prices were equal, it would save the ISP a lot of money spent on marketing. There would only be the need to sell one speed tier: the fastest the network can handle. This would be priced at a level close to the level of the lowest tier available now. People would not only be extremely happy about their fast connections, but also save some money that they can then spend on value-added services, better hardware (to take out any bottlenecks in their connection) and content (no incentive left to do illegal downloads). Motorola Mobility Ventures invests in Ooyala ('more than 1,000 customers delivering over one billion streams to over 100 million consumers per month'). Customers include Telegraph Media Group, Martha Stewart Living Omnimedia, Dell, General Mills, ESPN and TechCrunch. Ooyala Social is to be used by Miramax, Warner Brothers, and Netflix. So it's not Google, but looking at it as a Google takeover, the question is: Is Google going from retail (YouTube) into wholesale online video services? Or is it vertically integrating? Or, in different telecoms terms, does Google need to apply some form of voluntary separation between its consumer and business activities in order to prevent issues between its own retail business and its wholesale customers? (As is the case with Motorola/Android). Also: with Ooyala, Motorola finds a way to access the OTT market, hedging its broadcast postion through the STB business. OTT TV is finding serious adoption. The software and hardware market is highly fragmented. Product development at break-neck speed. True interactivity (beyond VOD and pausing live TV) must be complicated to develop (and sell). Content deals are difficult to negotiate. Vectra, the #2 MSO in Poland, uses the Xbox 360. Grande Communications, a Texas-based MSO, uses the TiVo Premiere. ONO (Spain) will launch its TiVo-based solution in October. TCT in Wyoming is using the Entone solution. Waoo!, a fiber-based provider in Denmark, uses RGB. Mobistar in Belgium added VOD. Numericable (France) launched an in-home developed service. Vodafone Iceland is launching with Espial, Amino and SecureMedia. ANT launched Galio Move, which streams content from the STB over WiFi to any other screen in the home. KPN launched something just like it: iTV Online. Miso is providing DirecTV with a Social TV solution that synchronises iPhone content with what is being watched on TV, as long as both connect to the same WiFi network. MTV has a similar service, the WatchWith app, also for iPhone (and iPad, computer). Technology from Rogue Paper. Ensequence and Zeitera partnered to synchronise TV content with a companion screen, for all sorts of applications: social networking, voting, behind-the-scenes content, coupon services, product placement, content discovery. 3-D active shutter technology: an initiative from Panasonic and XpanD, followed by a long list of manufacturers. Toshiba keeps making noise about glasses-free 3-D. The CEA wants to move to the 21:9 aspect ratio. HD is rapidly becoming the de facto 'standard', but 4K and now 8K are on the horizon (2020?). HbbTV is finding some adoption lately, mainly from German, French and Spanish broadcasters and manufacturers. Philips, LG, Loewe and Sharp partnered to standardise app development for multi-platform Smart TV apps. Parks, Strategy Analytics, iSuppli: penetration of connected CE devices is up. Ericsson ConsumerLab: share of broadcast TV is down. IMS: OTT revenues will go up. Sony: Bandeirantes in Latin America, NFL in the US. Our next conference, Broadband 2011, is taking shape. In fact, just a single slot is pending. The program is quite interesting. It contains international speakers and has execs from several real-world initiatives, as well as from start-ups. It is light on incumbents and heavy on challengers. Focus is on rural FTTH and cloud services. In-home contributions from our CEO and Coastas Troulos, who needs no introduction. Costas will talk about the NBN in Australia. Rabobank will talk about financing rural fiber. We will have Gary Mesch from CityFibre, Lindsey Annison from B4RN and Jelcer, which has the sewer link. LomboXnet is a live network in Utrecht. GlasOperator is a dedicated layer 2 active operator and we are anxious to hear what Online, the unbundler owned by T-Mobile NL, has to announce. Enterprise (Eurofiber), consumer (Microsoft) and security (F-Secure) focus. 1. TV Everywhere: access is restricted to in and around the home. 2. Companion screen: it is a second screen, but it doesn't complement whatever is watched on TV. 3. Connected TV: instead of bringing broadband content to the TV, all it does is liberate TV content from the big screen. It moves in the opposite direction. Much has to do with rights holders. What is interesting is that it challenges the premise of connected TV: not all content needs to be seen on the best & biggest screen. And it's a bit embarrasing to the cable sector in that KPN beat them in bringing live TV to the second screen. Read the full review here (in Dutch). Another Gigabit initiative has launched: B4RN (Broadband for Rural North), in Lancashire, England. They are currently assessing demand and at a 50 percent take-up rate, the project will go ahead. B4RN wants to know by October 2011. In Phase 1, the network is to connect 8 parishes with 1,300 properties: Arkholme, Wennington, Melling, Wray, Tatham, Roeburndale, Over Wyresdale, Quernmore and Caton with Littledale (Littledale part only). This phase will cost GBP 1.86m (this includes some of the shared costs between all phases). There will be 3 phases. Needless to say, Lindsey Annison of Fibrevolution is involved. B4RN will be the ISP, providing Ethernet IP; they are considering to provide access to other ISPs (using VLANs), but what's the point? Another Gigabit initiative, even in rural areas. Customer-owned is getting hot. Anyone can be a share owner. Will there be some form of co-operation with the Fujitsu initiative, that involves Virgin Media UK and TalkTalk? Just broadband + Internet access, no triple play. Over-the-top (OTT) services are recommended: a Gmail address, VoIP, YouView. Third-party ISPs could sign up to sell their well-known triple plays, it remains to be seen if this will be part of the plans. Telegraaf Media Group (TMG) has hired Bain & Co to assist in developing a strategy. It should be presented early 2012. So what is that, is the 100+ years old TMG hiring an outside firm to tell them how to run their company? In fact, it is really quite commendable. TMG is a more or less diversified consumer-oriented local media firm, that is being squeezed on all sides: dwindling circulation, adverse advertising markets, Internet substitution and competition from global (i.e. US-based) Internet services. Hiring a few experts isn't such a bad idea. The point is: there are two very different skill sets involved. When I started as a financial analyst at an investment management firm, I knew nothing of telecoms, but was appointed 'telecoms analyst' nonetheless. That's how it works in finance. My chief said: "In five years time, you will start to understand how the business works". Sometimes this model works, sometimes it doesn't. Analysts are usually very young and don't get the chance to develop some industry insight before moving on to a different job. Still, there is not much wrong with the model: the job requires two very different skill sets, finance and telecoms, and its fine if you more or less control either one of them. The other you will grow on the job. And importantly: arriving at an investment firm, there is lot's of infrastructure: not just financial models and decision making systems, but access to the best research there is out there. It's a perfect playground for any devoted analyst to learn a new trick. The same model is applied to politics. Our current government consists of politicians. They have learnt the skill of politics. And one would wish that they would draw on experts for making sound policies. Alas, that appears not to be happening. Time and again, expert advice is completely ignored, as the stupidest of all, Halbe Zijlstra, is not ashamed of to share with the world. Back to TMG. TMG know all about traditional media, and Bain & Co will tell them to integrate the firm, increase synergies, reduce costs and find new revenue streams. They have six months and will claim expenses to the order of millions of euros. All that can of course be thought of by the TMG management. Hiring Bain & Co is only done for one obvious reason: drastic measures. Watch out for TMG to announce something big, early 2012 - justified by the Bain & Co suits. The founders of Versatel, Greg and Gary Mesch, have started CityFibre in the UK to roll out FTTH. Time for a short analysis of the power of challengers on the telecom market. The telecom sector is dominated worldwide by incumbents, and only in mobile telephony has there been a definite breakthrough in the situation. The UK offers perhaps the most extreme example of this: BT sold its mobile activities (first called BT Cellnet, then mmO2 and now O2) in 2005 to Telefonica. On the fixed market, cable provides competition and in Europe unbundling has also been added, bringing new players and lower prices to the market and growing broadband penetration. However, the eternal question is whether there is truly competition if vertically integrated companies compete with their own infrastructure? But then how many types of infrastructure can the market support? Doesn’t the existence of two or three networks lead to an oligopoly? Does mobile (4G) even figure in this? Is infrastructure not a natural monopoly, which as such can be best managed by the government, just as other utilities? Hong Kong: incumbent PCCW is under pressure from the newcomers City Telecom (of Hong Kong Broadband Network, HKBN) and Hutchison Telecom. The local market is relatively easy to cover with fibre due to its compact size and high density, making a FTTB network an obvious choice. France: a real FTTH market is in bloom, although limited to certain regions, including of course Paris. The latter makes grateful use of the easily accessible sewers network. In addition to France Telecom, Numericable, SFR and Iliad are active. Iliad, which operates under the brand name Free, has acquired a certain hero status, for keeping pricing simple (EUR 30 per month) while at the same time continuously expanding the range of services provided. The basis is its own DSL network, but a couple years ago it started rolling out FTTH. In addition Free develops its own software and hardware. Italy: FastWeb is one of the most important competitors of Telecom Italia on the fixed market. It started with its own FTTH network in Milan and later expanded to the DSL market. In 2007 the company was acquired by Swisscom, but it still has a minority stake listed on the stock market. Netherlands: Versatel was started already in 1995 in order to compete with KPN, focusing on the business market. In 2002 the company suffered a financing crisis and could no longer pay the interest on its accumulated debt. It started afresh, but fell into financial troubles again in 2004 when it bought the broadcast rights to the Eredivise football. Versatel wanted to launch a pioneering IPTV service, but barely had its network ready in time for the new football season. It failed to attract a significant number of customers and Tele2 acquired the company. In addition, Regggefiber is active on the FTTH market, although the company is largely in the hands of KPN since 2008. UK: the British broadband market is dominated by BT and its unbundlers on the one hand and cable operator Virgin Media on the other. Newcomers have largely limited their efforts to local projects. Among them is CityFibre Holdings, which acquired the assets of i3 Group. The assets include H2O Networks and FibreCity, which plan to roll out FTTH, partly through the sewers, in Bournemouth, Northampton, Dundee and other cities. The common factor among all these is FTTH, but success is also clearly determined by good, innovative services at a low price. HKBN and Free have been the best at that. Versatel suffered from financial problems, and as part of Tele2 really only has much impact on KPN on the business market. With its Best Deal motto, its ambitions as well as its market share have stagnated on the consumer market. i3 Group was forced to sell its assets due to financial problems, and the new CityFibre has ambitious plans to roll out FTTH in a number of cities, starting with Bournemouth. CityFibre is led by a number of former Versatel people: the brothers Greg and Gary Mesch, Mark Collins, Chris Toller and Leo van Doorne. FastWeb saw that it was too soon for FTTH and made an understanable shuift to DSL. Since then demand for bandwidth has been near insatiable, and FTTH has become profitable. HKBN and Free are examples of this, remarkably also with innovative and low-priced services. Financial problems are always lurking in the shadows, and too much debt becomes a problem when forecasts are too optimistic. Being acquired by Tele2 (Versatel), KPN (Reggefiber) or Swisscom (FastWeb) may provide for financial stability, but can also be a brake on ambition. CityFibre, for those who see the history of Versatel clearly, is therefore a company to keep an eye on.